Southern California is known for its great weather and health conscious people. The California lifestyle is epitomized by looking good and feeling good. Straight teeth not only look great, but they also significantly help with good hygiene. 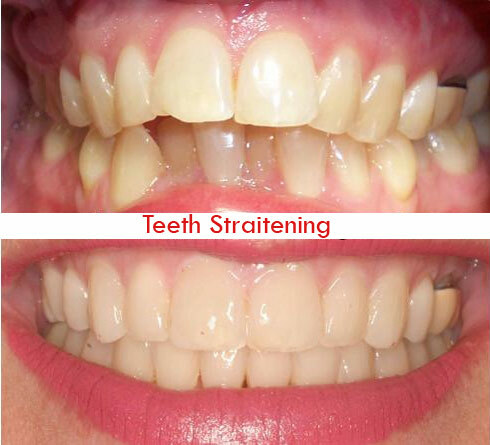 Straight teeth reduce your risk for tooth decay and gum disease. Simply said, straight teeth make it easier to brush and floss your teeth effectively. If your teeth are too crowded or have too much space in between them, your gums may become red and swollen. This can lead to periodontal disease. Tooth decay and bacteria are caused by bacteria and if left untreated , it can cause bad breath, mouth sores, bleeding gums and possible tooth loss. Properly aligned teeth allow your gums to fit securely around the teeth promoting the healthiest and strongest defense against possible periodontal disease. Proper brushing and flossing is made easier with straight teeth, Brushing and flossing are more efficient when your teeth are aligned properly, your tooth brush does not have to find nooks and crannies to brush. Flossing also is more efficient as the floss can be directed with greater ease on straight teeth. Tarter and plaque have a harder time hiding in difficult to reach places that crooked teeth create. When your teeth are straight your tooth brush will brush the most amount of tooth structure. As a Prosthodontist, I am very concerned with the proper alignment of teeth. I will be happy to discuss with you objectively the advantages and disadvantages of the many treatments that are available to straighten teeth. Your teeth are your calling card to everyone you speak to. Straight teeth show you care about yourself and what your represent. A confident healthy smile is yours to achieve. A visit to Dr Kantarovich will provide you with the answers to your questions regarding which treatment is best for you.